Cheap Patriotic Skimmers - 12 Ct.
Patriotic Skimmers - 12 Ct. Perfect addition to any patriotic event! Skimmer hats are fun for a 4th of July parade or any patriotic themed party. 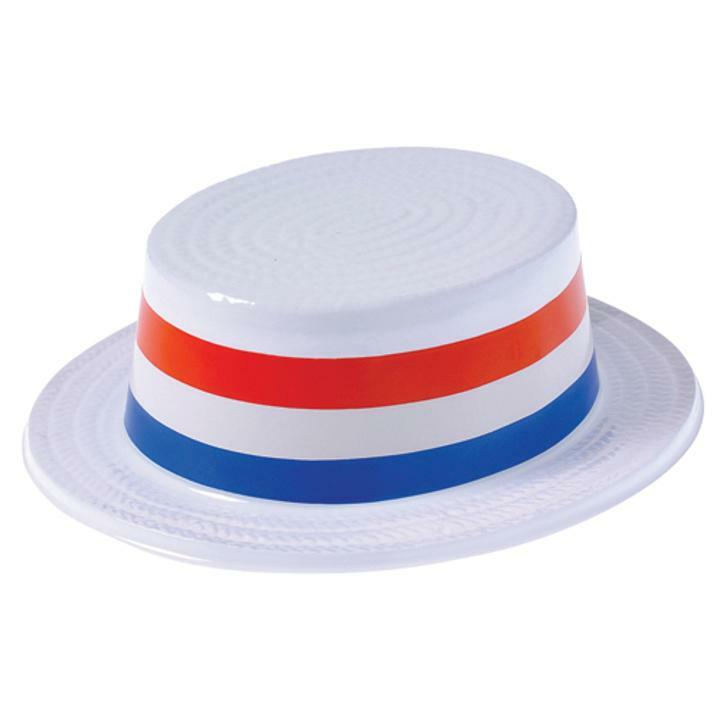 These hats will also work well for Carnival Barkers Stock up on all your patriotic needs with US Toy. We have a wide selection of favors and costume accessories to make your day a success. You'll find everything you need for your next election day celebration, parade or 4th of July party in our Patriotic section. L: 11.35 in. W: 15.4 in. H: 4.7 in.